FARGO, N.D. (April 2, 2019) – Following a pair of top 10 finishes with the World of Outlaws NOS Energy Drink Sprint Car Series to wrap up the first California swing of the season, 10-time and defending series champion, Donny Schatz, now sits tied atop the point standings with season-long leader, Daryn Pittman. 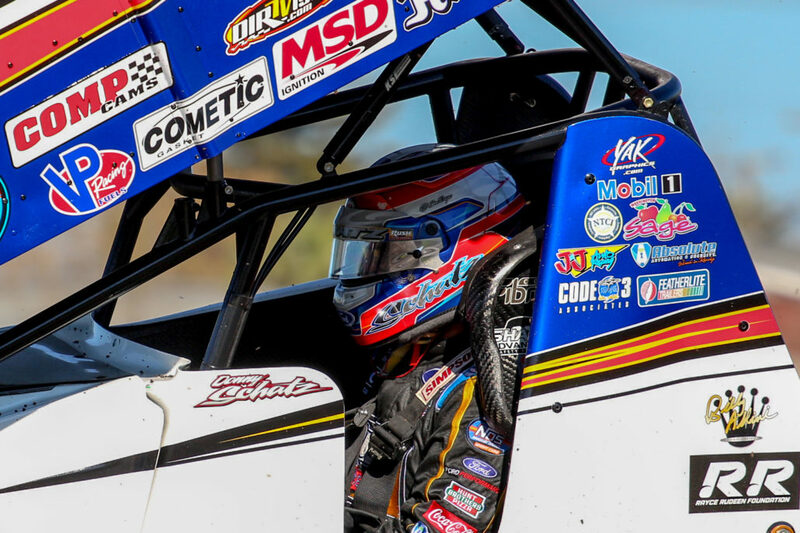 Schatz has been a model of consistency throughout the 2019 season. The Fargo, N.D. driver is the only World of Outlaws competitor to record top 10 finishes in each of the first nine events. Most recently, Schatz picked up a sixth-place finish at Keller Auto Speedway at Kings Fairgrounds in Hanford, Calif. and a seventh-place finish at Perris Auto Speedway in Perris, Calif. In each of the last two seasons, once Schatz has climbed to the lead of the series standings, he has held that position for the remainder of the season. Last year, Schatz took control of the point standings on the second race of the season and never looked back. In 2017, Schatz grabbed the point lead on the third race of the season and held it through the World Finals at the Dirt Track at Charlotte in November. The “Greatest Show on Dirt” will head to Arizona this coming weekend. The action kicks off at USA Raceway in Tuscon on Friday, April 5, followed by a visit to Arizona Speedway in Queen Creek on Saturday, April 6. Schatz has one career win in seven starts at USA Raceway, which came on the World of Outlaws’ first-ever appearance to the semi-banked, three-eighths mile oval on October 21, 2006. Schatz has an average finish of 5.1 at USA Raceway entering this weekend’s action. Schatz is the defending race winner of the Arizona Desert Shootout at Arizona Speedway. The driver of the Tony Stewart/Curb-Agajanian Racing No. 15 started 12th in last year’s main event before leading 10 laps and taking the win. In just three starts at the high-banked one-third mile oval, Schatz has an average finish of 3.6.